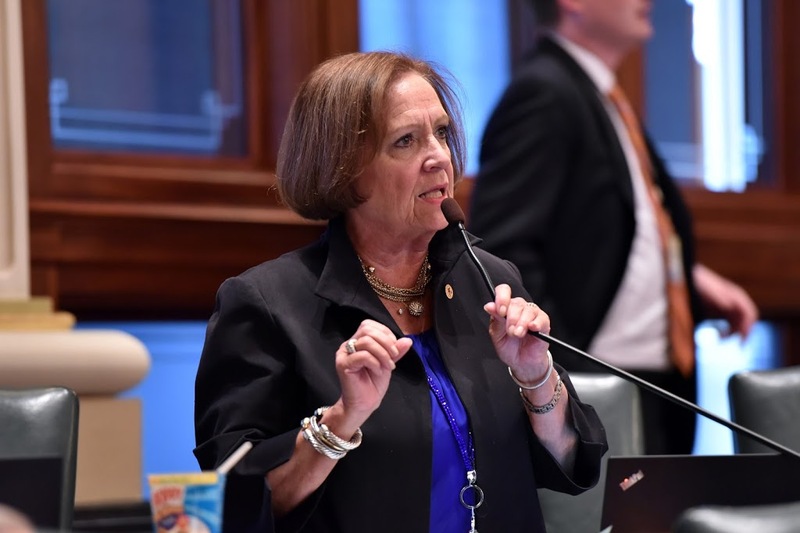 Assistant House Minority Leader Norine Hammond passed legislation expanding Veteran’s Preference to those who live in Illinois, but served in another state’s National Guard unit. “We owe a great debt to these Veterans. When they serve in our military, they serve us all, regardless of state lines. If they are an honorably discharged Veteran, they should receive hiring preference regardless of the state in which they enlisted or served,” said Rep. Hammond. House Bill 4288 passed the Illinois House unanimously and will now be taken up in the Illinois Senate. The measure was supported by the Disabled American Veterans (DAV) and the Veterans of Foreign Wars (VFW). Under current law, members of National Guard units from states other than Illinois are not granted Veteran’s preference for state employment purposes. Every state in the nation offers some form of Veteran employment preference in the public sector. At the federal level, members of the National Guard only apply for Veteran Employment Preference if they were activated and served continuously for two years, or the entire time for which they were called to active duty. Under provisions of Hammond’s legislation, a person who has been a member of the Illinois National Guard shall be given priority over a person who has been a member of the National Guard of any other state.